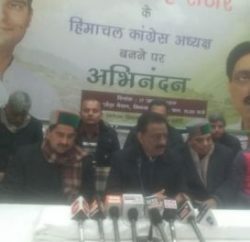 To ascertain the cause of Lok Sabha poll debacle and to ensure accountability of each and every party leader, Himachal Pradesh Congress Committee (HPCC) president Sukhwinder Singh Sukhu has sought details of the party’s performance in the all Assembly segments. 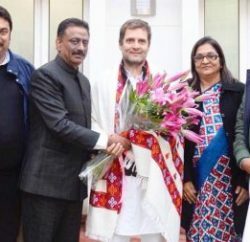 In a meeting, which was convened to ensure accountability of party office bearers, Sukhu sought detailed report of home polling booth of all ministers, sitting and former MLAs, chairman and vice-chairman of boards and corporations and office-bearers of the state, district and block Congress committees. District Congress committee presidents will have to submit these reports within three days to HPCC. 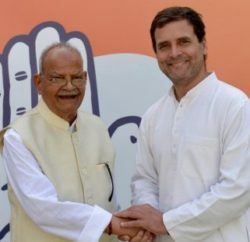 The report will be placed before AICC president Sonia Gandhi and Chief Minister Virbhadra Singh. The state general secretaries Ram Lal Thakur, Harshwardhan Chauhan, Harbhajan Singh Bhajji and Sunder Thakur were present in the meeting.